Kenstar 25 L Convection Microwave Oven (KK25CBB250, Black) has awesome features, functions and capabilities to handle most of the kitchen works. This Kenstar microwave has a stainless steel cavity that is very helpful to produce healthy food. The prepared meal is free from any bacterial elements, the meal is also baked evenly without overcooking. And the stainless steel interior is very easy to clean and it can last for a long time as well. Further, this 25 liters Kenstar oven has combi-function that includes “microwave + grill + convection”, “grill + convection”, “microwave + grill” and “microwave + convect”. Since it has 25 liters of capacity so it can easily prepare foods for a large family and it can easily accommodate larger cooking items, food packets and dishes. Also, Kenstar 25 L Convection Microwave Oven (KK25CBB250, Black) comes with 250 auto cook menus giving you great flexibility to choose your preferred recipes to enjoy. Other highlights are express cooking, grill stand (large and small), child safety lock and digital jog dial. 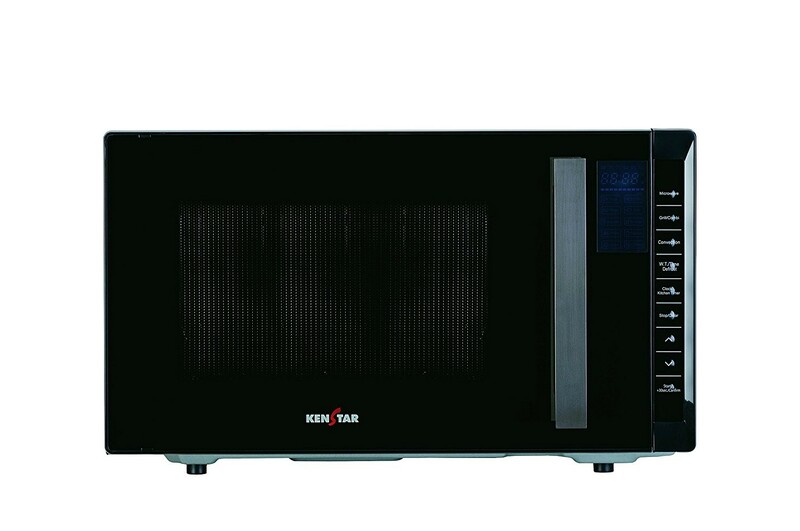 Kenstar 25 L Convection Microwave Oven (KK25CBB250, Black) carries one year of overall warranty while the magnetron warranty of 3 years. It delivers 1400 watts of cooking power that is considered an impressive power to cook and reheat foods rapidly. 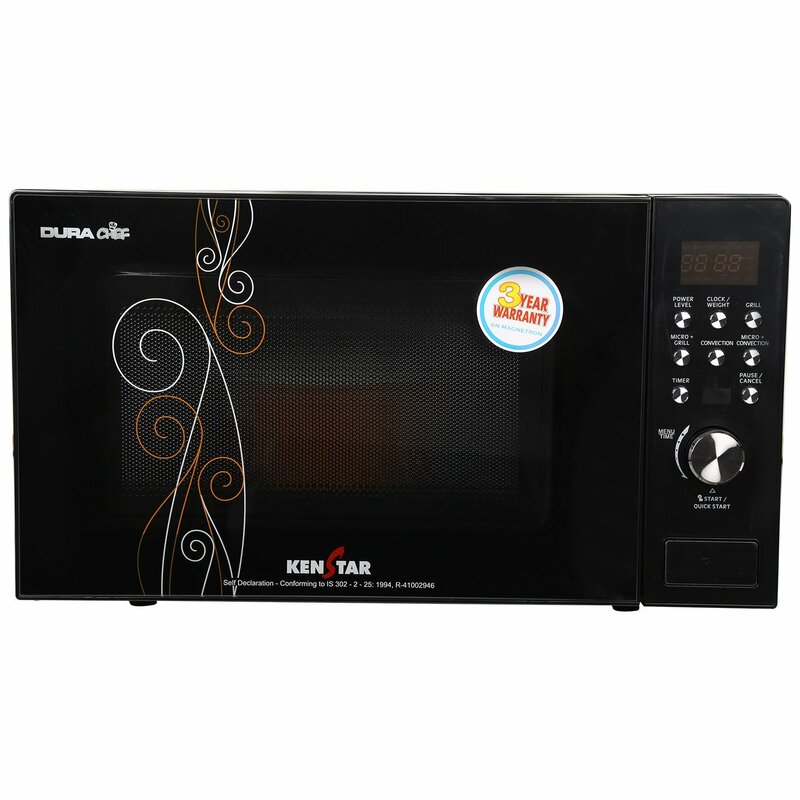 If you want to buy this Kenstar microwave oven then Amazon India can be the best place. It provides great shopping experience with lesser delivery time compared to other market places.